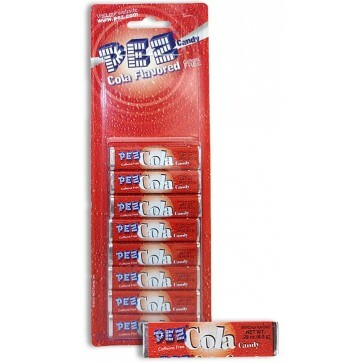 Refill your PEZ dispenser with these PEZ Cola candies. PEZ Cola Flavor Candy comes with 8 refills. Total candy net wt. 2.32 oz.